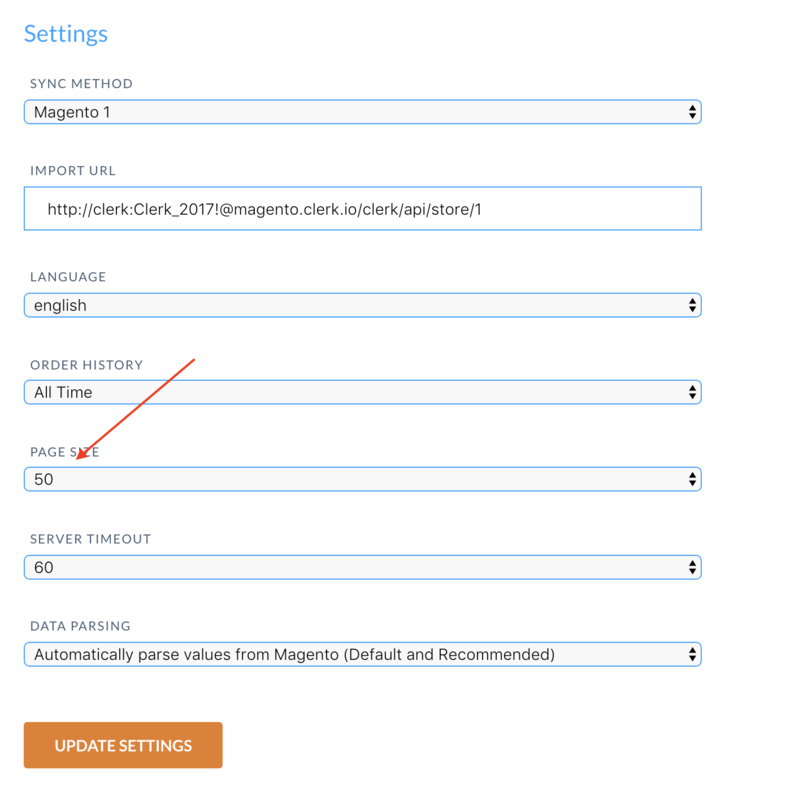 When importing data with the Magento 1 extension, the webshops server is responsible for sending the product- category- and sales-data to Clerk.io. However in some cases, the servers configuration might stop the Importer from getting access, causing an error in Data Sync. Second, be sure to clear your webshops cache before trying a new import. This error means that your server encountered an internal error and were not able to specify which error happened. This error also means that your server encountered an internal error and were not able to specify which error or error code happened. In these cases you can check your Server Log to identify which process crashed and why. In most cases its simply because of a product with an invalid attribute, or your memory limit was exceeded.